It's likely this didn't go ahead and make Clint Eastwood's day. 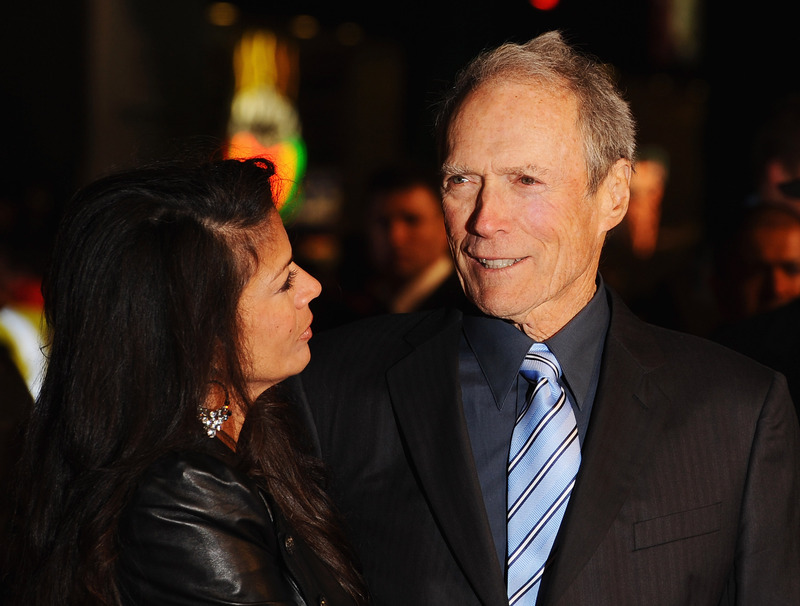 Dina Eastwood — who had filed for separation from the Oscar-winning actor and director in September — has withdrawn her papers... only to officially file for divorce from Eastwood. According to People, Dina's divorce was filed Monday in Carmel, Calif.'s Monterey County Superior Court. Dina is seeking physical custody of the couple's daughter, 16-year-old Morgan, who was born just one year after the couple had wed. That's right — Dina and Clint Eastwood are divorcing after a whopping 17 years together. But the couple has seemingly moved on — the Million Dollar Baby director is dating Erica Fisher, while Dina is currently dating Fisher's ex, Scott Fisher. Now, that sounds like drama worthy of a reality show — unlike Dina's short-lived E! reality series, Mrs. Eastwood & Company, which failed to be accepted by audiences and critics during its 2012 run. And, according to reports, it failed to be accepted in the Eastwood household as well — sources have told People that it led to the break-up, with the notoriously private actor being "furious" that cameras were allowed in the house. Still, the exes have seemingly tried to remain civil in public. Following their separation, Dina wrote on Twitter, "I don't like reading negative things about Clint. He is a wonderful, good natured, brilliant person. No matter what, I attest to that." So no drama after all? I suppose reality's best left to the pros.